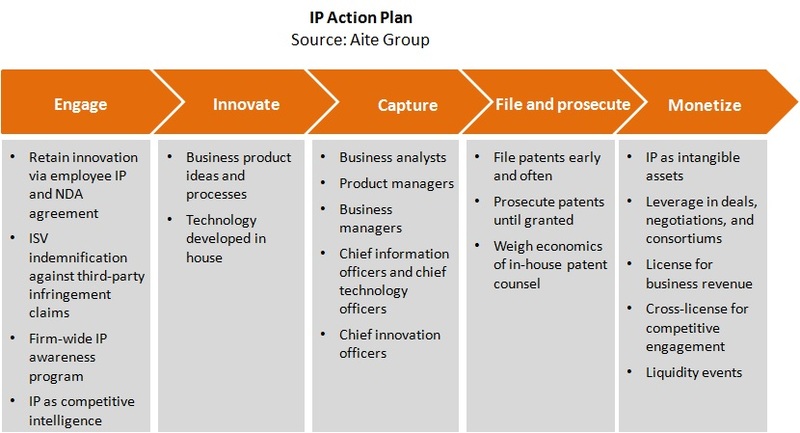 Capital markets firms are beginning to wake up to the inherent value of their own IP and the need to protect it. Boston, February 12, 2015 – A great many capital markets firms, independent software vendors, and their investors are missing the intellectual property boat. While capital markets firms do value their clients' IP, when it comes to their internal IP, capital markets firms have in many cases failed to value, protect, and monetize it. But as capital markets software becomes commercially available and as the United States has finally adopted first-to-file patent laws, it is now incumbent on capital markets firms and ISVs, and those who invest in both, to treat IP as a core asset like any other. If capital markets firms and ISVs are prepared to pay new attention to their business and technology innovation, can they capture and monetize such innovation? Based on desk research and interviews with individuals at financial services and capital markets firms, software developers, electronic platforms, exchanges, markets, and IP counsels in key regions, this report outlines the fundamentals of IP, explores capital markets' central role in IP development, and offers an action plan to capital markets firms ready to leverage their own innovations. This 27-page Impact Report contains four figures and five tables. Clients of Aite Group's Institutional Securities & Investments, Wealth Management, Wholesale Banking & Payments, Retail Banking & Payments, Health Insurance, Life Insurance, or P&C Insurance services can download this report. Next-Generation ATS: Innovate or Die!